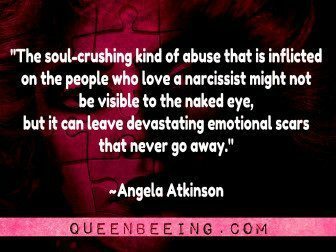 Looking for tools, tips, resources and help with a narcissist in your life? Then you’ve come to the right place. I’ve collected more than 35 of them for you, right here. I have written several books on narcissism, but I know that not everyone can have books delivered and/or doesn’t have the cash for the Kindle editions. Or maybe they’re afraid of being found out by their very controlling narc. Listen, I’m not here to judge. I feel you. TRUST ME. At any rate, that’s why I’ve put together a few links for you here. If you bookmark this post and/or this site, you can refer back to it as needed to get the virtual support and/ir validation that you need. Consider this site your very own sort of “online ebook” of sorts – no charge, no strings attached. Just because I know how important it is to know that you’re not crazy when you’re in the thick of a relationship with a narcissist. Your narcissist could be anyone – your spouse, your child, your mother, your father, your boss – even your best friend or your neighbor. Here are some tips for identifying the one(s) in your life. If you are an ACON (adult child of a narcissist), you’ve got to learn to take control of your own life. Here’s some advice that might help. What is the definition of a toxic narcissist? It’s confusing for a lot of people, because people think being narcissistic means you take a bunch of selfies and care about how you look. But that’s not necessarily a toxic narcissist – the fact is that every human alive has a certain amount of narcissism in their makeup – it’s self-interest. It’s what makes us get up and get ourselves dressed, feed ourselves, get jobs, get married, have kids – it’s the part of us that prevents us from just giving up entirely. But a toxic narcissist (or a person with NPD), is someone who has no ability to empathize with other people and who treats the people closest to him accordingly. Are you being manipulated by the narcissist? We all know that narcissists are master manipulators. Here are some posts to help you identify and recognize the manipulation. Get the Definition of Gaslighting. How to Identify Gaslighting: Learn how to recognize the top ten signs of gaslighting. Can you take control of the situation and/or overpower the narcissist? Indeed you can, my friend, if you’re willing to stand up for yourself – at least temporarily. Once you’ve recognized the situation, you’re already one step closer. Now you need to know how to get through it. Try these posts for help and ideas. If you’re divorcing a narcissist – here’s what experts recommend you do. 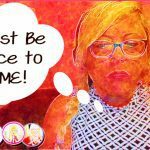 Can you make the narcissist be nice to you WITHOUT acting like a narcissist yourself? Yes, absolutely – and it can be done in two ethical, repeatable steps – check it out right here. Can a narcissist ever really love? What are some other ways a narcissist will manipulate me? 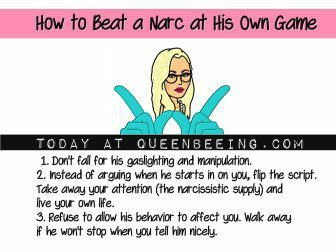 You might already know all about gaslighting, but that’s just one way that narcissists manipulate people. Here are a few others. Can you show me an example of real-life gaslighting? I don’t usually share many personal stories about the gaslighting I have experienced in my life but recently, a well-known narcissist actually gave me a little bit of an unrealized opportunity by actually gaslighting me online. Here is the post about how Sam Vaknin gaslighted me on Facebook. In this case, since it wasn’t personal to me, I was able to share the conversation in full – and it offers a very raw glimpse into the twisted, convoluted mind of a narcissist. What if leaving my narcissist isn’t an option? It’s not always, and you and I both know this. Unless you’re being physically abused, sometimes it feels like the wolf you know is better than the one that you don’t. But here are some posts to help you get your head in the right place and tools to help you be happier. If you ARE being physically abused, do not stay one day longer than necessary. If you’re not already, it’s time to start planning your escape. PLEASE see this page and do what you need to do. 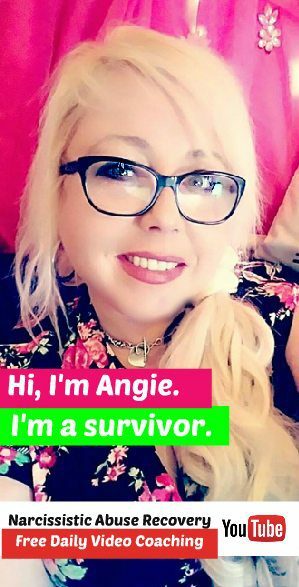 Is there a course or class I can take to help me recover from narcissistic abuse? Absolutely! On this page, you’ll find all kinds of freebies, some of which include ecourses. 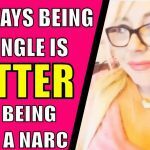 You can also visit NarcissismSupportCoach.com or take my Udemy course that helps you to take back your life after narcissistic abuse, right here. Take Back Your Life: 103 Highly-Effective Strategies to Snuff Out a Narcissist’s Gaslighting and Enjoy the Happy Life You Really Deserve. See all of my books, including those on topics such as weight loss and how to be a hot wife at BooksAngieWrote.com. 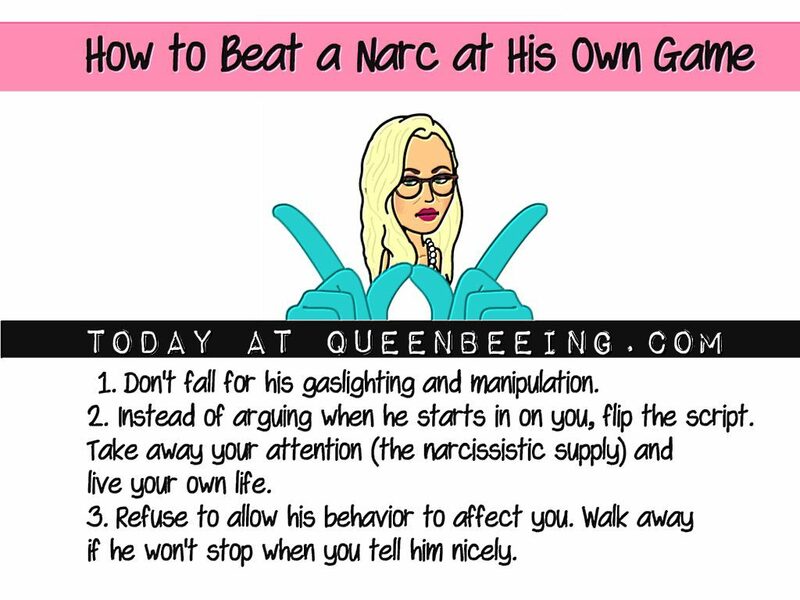 See the most recent posts about narcissism, gaslighting and toxic relationships right here. 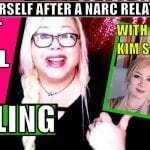 If you have any resources for victims of narcissism in relationships, please share them in the comments section, below. When the Narcissist is the Parent.